What should you expect from a contractor who says they do landscape lighting? You could take three contractors, give them identical homes to light and give them all the same lighting fixtures, wire and power components and the final product would be vastly different. There are two key factors you are looking for in a contractor. The first would be his ability to install a system that is safe, and follows quality installation techniques. The second factor would be his creativity and ability to compose a lighting portrait that captures the imagination and is functional. The creative part comes from years of experience and, frankly, years of mistakes. Nobody wants mistakes being made on their house so ask for some referrals. Making sure the system is installed safely in a quality manner is a little more quantitative and measurable. The following outline that TriState Water Works follows when they install outdoor landscape lighting projects is a good place to begin. Lighting fixtures, power consoles, conductors and controls shall be installed per manufacturer recommendations, industry best management practices and adherence to National Electric Code (NEC). After years of installing lighting systems we understand the difference between the right way and the wrong way. Short cuts with proper installation will surely come back to haunt you! Post mounted fixtures shall be mounted on manufacturer supplied stake. The stake shall be fully inserted into the ground. This keeps the light fixture in the proper alignment. All wire connections shall be hard wired using water resistant connectors. Quick connects shall never be used. The quick connectors provided by the manufacturer just don’t work in our heavy clay soils. The wire is guaranteed to corrode using quick connects. That is why we always use professional grade wire connectors for years of trouble-free lighting enjoyment. All wire shall be buried a minimum of six inches deep in the soil in accordance with the NEC. Wire shall be enclosed in a two foot section of plastic conduit at landscape bed edge crossing. Wire that is placed under sidewalks shall be contained in plastic conduit. Wire shall follow, when possible, the foundation of the house, the edge of pavement or the border of other structures to make locating wire easy. This is all about the work you don’t see but it is also about the part of the job many contractors take short cuts with. It is not worth saving a couple hundred dollars only to have years of frustrating lighting performance and many hundreds of dollars more in repair bills. The power console shall be mounted on a pressure treated lumber post and shall not be attached to structures unless specifically noted in the proposal or specified by owner. Wire entering the bottom of the power console shall be enclosed in plastic conduit. Power consoles sometime vibrate and when they’re attached to your house it can make for a noisy night’s sleep. 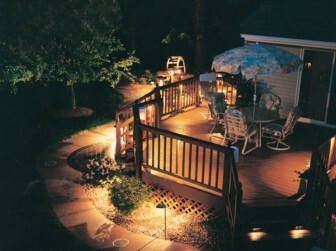 An additional visit to adjust lighting after dusk will be included to optimize the performance of the lighting design. A lighting system is never complete until the lights have been adjusted in the dark to make sure you have the best lighting portrait. Your contractor should support the normal warranty offered by the manufacturers of the products they install. TriState Water Works warranties its labor for one year. Incandescent lamps are guaranteed for 30 days. 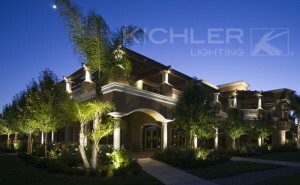 The Kichler ProLandscape LED lighting is warranted for 15 years on the LED and the electronics. One of the benefits of LED fixtures is that you do not need to replace lamps; this is a big time saver and saves on maintenance cost. So there you have it! 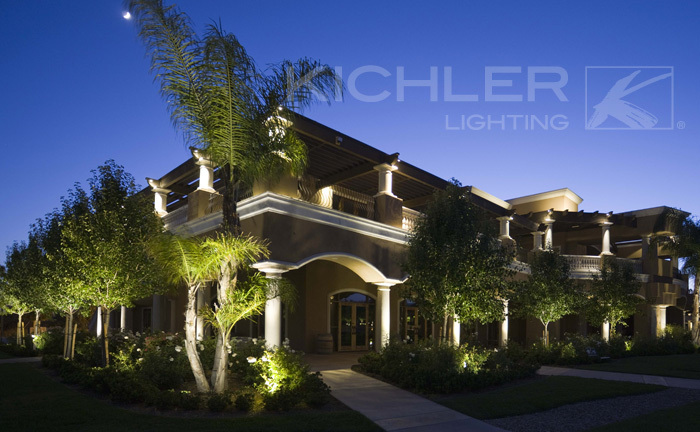 Go and purchase a landscape lighting system with confidence.